Properties for sale in Brittany, France - AHIB-3-mon1919 Plouneour Menez 29410 Gorgeous 7 bedroom property with 15 hectares! 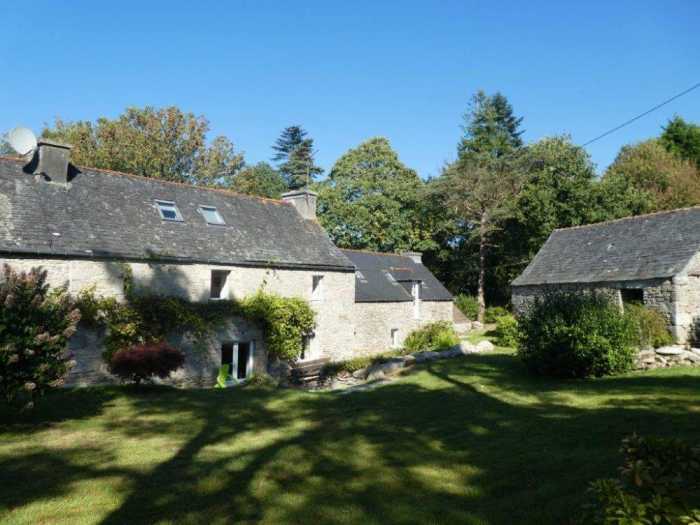 AHIB-3-mon1919 Plouneour Menez 29410 Gorgeous 7 bedroom property with 15 hectares! This one is composed of a studio with living room and fireplace and wood stove with on the first floor a bedroom, bathroom and WC. In the continuity, a bedroom, shower room and independent WC. Boiler room, laundry room, nursery, old linen barn used as shelter. The land is attached and well maintained with garden around the house, orchard and around 10 hectares of woods and 5 hectares of meadows. Renovation of quality that has highlighted the original elements: beams, frames, chimneys, floors; openings were created to bring light into this pleasant south-west facing house. It is impossible to remain indifferent to such a property!